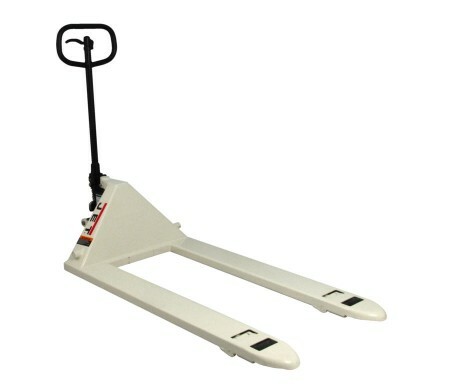 JET® J Series Pallet Trucks are available in 6 different configurations. Each JET J Series Pallet Truck has a low profile of 2-1/2 inches, varying widths of 16 to 27 inches, and multiple lengths from 36 to 48 inches. High quality welded steel construction allows for capacities up to 5,000 pounds. The 180 degree turning radius increases maneuverability and the easy-to-use fingertip controls permit single handed operation. 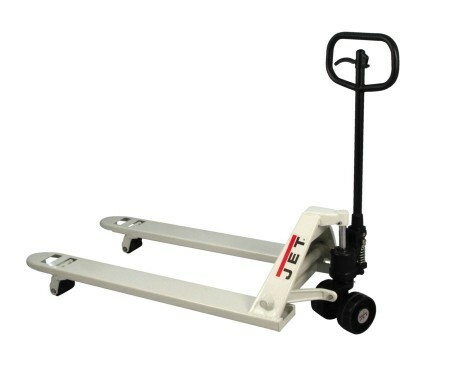 JET J Series Pallet Trucks are built to handle heavy lifting.